Bittrex Failed To Get NY's State BitLicense - What Does It Mean For Bittrex Users? 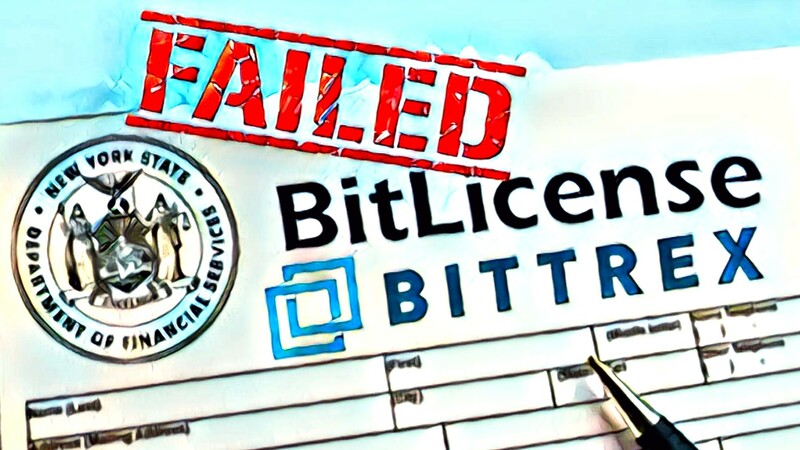 Bittrex Failed To Get NY’s State BitLicense – What Does It Mean For Bittrex Users? Bittrex, a major United States cryptocurrency exchange based in Seattle and established in 2013, has been forced to close its New York business due to the rejection of its BitLicense application by the New York Department of Financial Services (NYDFS) on April 11, 2019. According to the official documents released by the New York State Financial Services Authority, Bittrex failed to adhere to all of the listed legal and regulatory compliance requirements. The areas in which Bittrex fell short was a lack of compliance with AML (anti-money laundering) law, as well as lack of due diligence and control related to virtual currency listing and product implementation. Also, Bittrex failed to adequately control and monitor suspicious transactions, due to their lack of training and poor hiring of staff. Additionally, Bittrex failed to collect the necessary documents for token examination upon listing tokens on the exchange. According to the DFS, Bittrex even listed certain tokens without requiring them to submit any documents. However, in response to the DFS’s claims, Bittrex says their screening criteria are too strict to handle many cryptocurrencies. Stating that according to the DFS’s requirements, the exchange would only be allowed to list 10 of their 200 plus cryptocurrencies. All in all, it is well known that the New York State’s BitLicense is very difficult to obtain, due to New York being a global financial hub. Do you think Bittrex will address their AML and token listing issues and reapply for the New York BitLicense? Let us know what you think in the comment section below.